Pokémon Go's Holiday and New Year event is back for 2017. And not only is it a double event, with Gen 3 continuing to roll out, it's triple the fun! So what's the big Pokémon Go holiday and Near Year event? The holiday season is here, and we have a celebration that will inspire you to go out exploring your neighborhood with family and friends. Starting today at 1:00 p.m. PST, a familiar festive Pikachu is back—and bringing a few frosty friends along for the fun! In addition to more Ice-type Pokémon appearing around the world, additional Water-type and Ice-type Pokémon originally discovered in the Hoenn region in the Pokémon Ruby and Pokémon Sapphire video games will also begin appearing in Pokémon GO for the very first time. As a special bonus, the first PokéStop you visit each day between December 22 at 1:00 p.m. PST and December 25 at 1:00 p.m. PST will award you a single-use Egg Incubator with your first Photo Disc spin, so make sure to check in every day to collect an incubator. Don't miss out on your chance to stock up for your holiday adventures with special boxes from the in-game shop, featuring the best deals of the year. From December 21 through December 25 at 1:00 p.m. PST, special boxes will feature items such as Super Incubators, Lure Modules, and the all-new Star Pieces, which earn bonus Stardust for 30 minutes when activated. From December 25 at 1:00 p.m. PST through January 4, 2018, keep an eye on the in-game shop for special boxes, featuring items such as Premium Raid Passes, Super Incubators, and Star Pieces. That means it's really two events? Sort of. Last year the holiday and New Year events overlapped. This year we'll have to wait and see what happens. So, what's the Holiday part so far? One single-use Egg Incubator with your first Photo Disc each day. Festive hat Pichu hatching from 2K eggs. Increased Ice-type Pokémon spawning around the world. Update: These boxes are now gone and the New Year Boxes are now available. And the New Year's part? Santa Hat Pikachu is back, baby? Santa Hat Pikachu is back — and with a baby! Like last year, you can catch a festive Pikachu with a Santa Hat in the wild. These Pikachu have Present as a Fast Move and give you 250 Stardust per catch. So go get 'em. You can't catch Santa Hat Raichu this year, but you can evolve it from Pikachu. New this year, you can also hatch a baby Santa Hat Pichu from 2 KM eggs. How to catch holiday (Santa) Pikachu in Pokémon Go! What about Delibird? Tell me there's Delibird! There's Delibird! 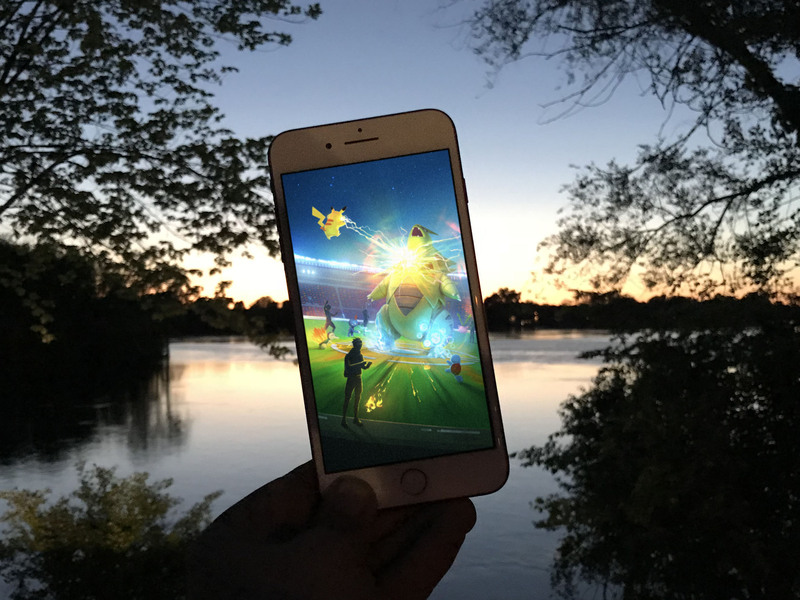 In addition to the new Gen 3, Pokémon Go has launched one of the few remained Gen 2 as well. Delibird also has Present as a Fast Move and also gives you 250 Stardust a pop! It's unknown if Delibird is here to stay or only here for the holidays, so catch 'em all — and soon! What's a "single use" incubator? The basic incubator everyone gets at the start of the game is "infinite". You can use it over and over again. So, you can hatch as many eggs, one after the other, as you put in it. The incubators you buy in the store are "three use". You can use them three times and then they disappear. So, you can hatch three eggs, one after the other, with it. The free incubator being given out for the event is "single use". You can use it once and then it will disappear. So, you can hatch one egg with it. And there are more Gen 3 now as well? Yes, Gen 3 Water- and Ice-types are now in the game. It also looks like Relicanth regional — it's only been spotted so far in New Zealand and surrounding islands. Any Pokémon Go Holiday and New Year event questions? There's no double XP, Stardust, or Candy — at least not yet! — but there are some fun festive Pokémon to catch. So, get to it and throw any questions you might have into the comments!